Born 1968, Laurent Colomb develops a theatro-vocal universe that borrows its forms to music and sound poetry. His palette of expressions is interested by the onomatopoeias, the interjections and the exclamations of spoken language as closely as possible to the expressive possibilities of the theatrical body. 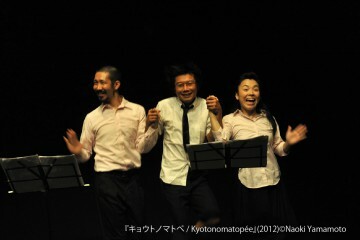 Supported by various French national programs including Ministry of culture, National Center of the Playwritings, and French institute "Villa Kujoyama", he continuously created “Kyotonomatopée”, the first opus on the Japanese wordsnoise deeply inspired by the art of traditional Bunraku, from 2008 to 2012 with Seinendan theater company. Instructor-Doctor of the University of Paris VIII, he is also interested in the therapeutic effects of singing and supervises regularly some voice workshops in France and abroad.